1800 Series 6-Piece Sheet Set Just $26.99! Down From $100! You are here: Home / Instagram / 1800 Series 6-Piece Sheet Set Just $26.99! Down From $100! 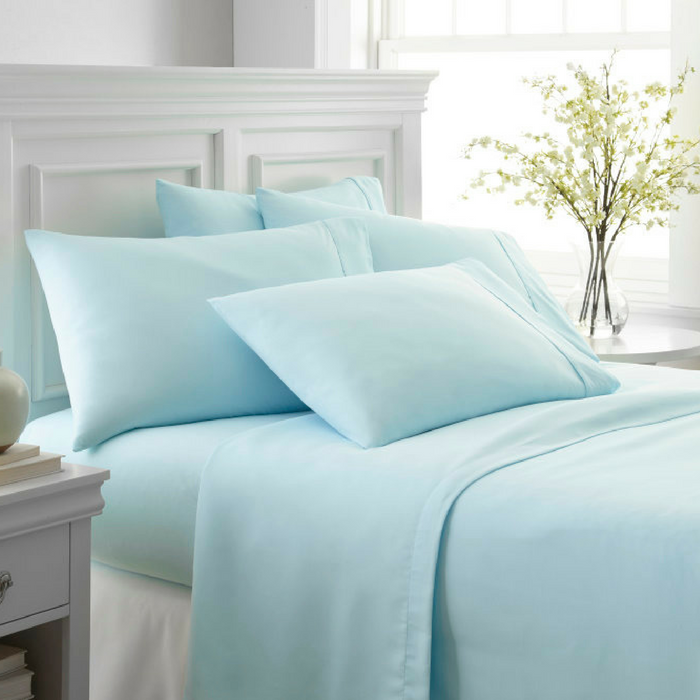 Jane is currently offering this 1800 Series 6-Piece Sheet Set for just $26.99 down from $99.99! Shipping is $4.95 for the first item and $3.95 for each additional item! The 1800 Series 6-Piece sheet set by ienjoy Home is designed with your comfort in mind. Made of the finest imported double-brushed microfiber yarns creating a new standard in softness and breathability, this 6-piece sheet set will make it incredibly hard to get out of bed in the morning. The premium yarns are two times more durable than cotton, completely wrinkle free, and perfect for all seasons.